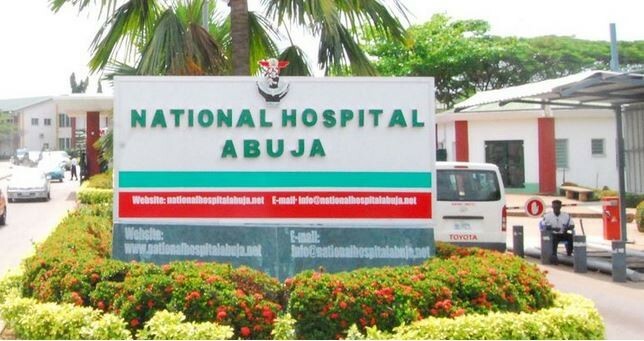 The management of National Hospital, Abuja (NHA) on Tuesday denied negligence of a 17 year old patient Paul Akpala, which led to his death. Dr Tayo Haastrup, Deputy Director, Information Communication, NHA, denied the allegation in a statement on Tuesday in Abuja. Akpala was said to have been knocked down by a hit and run driver at Berger roundabout, Abuja, while trying to cross the road, and was immediately rushed to the NHA on Jan. 23. Haastrup said the patient was taken to the hospital’s Trauma Intensive Care Unit (TICU) and put on a life support machine. The deputy director said he was promptly attended to by the Trauma, Orthopaedic and Neurosurgical teams, and was managed for traumatic brain Injury and bilateral lower limb fractures. “He was unstable, given three units of blood, clexane and was admitted in the intensive care unit and put on life support (ventilator) and his condition further deteriorated in spite of the treatment,’’ he said. Haastrup said that though the CT scan machine was faulty and was under repairs at the hospital facility, when a CT scan was required, the patient was moved to a diagnostic centre. He said he was taken on the trip on a ventilator and accompanied by two senior doctors and a nurse. He explained that the CT scan showed pulmonary fat embolism, a known complication of long bone fractures with attendant poor outcome. “Pulmonary fat embolism does not require surgical operation; hence the patient was moved back to the intensive care unit. “We state unequivocally that the hospital did the best in these circumstances, we however, commiserate with the family on their loss,” Haastrup added. The News Agency of Nigeria (NAN) gathered that the deceased’s family had accused the hospital of complicity in the death of their son. The family said Akpala had died as a result of wrong diagnosis, faulty equipment, favouritism, bribery for blood and bed space, among others issues.